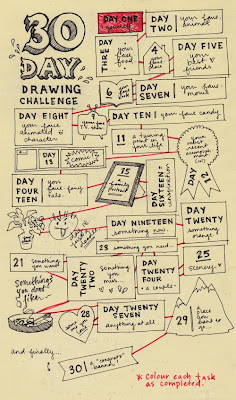 crem-bru-laa...: 30 Day Drawing Challenge! 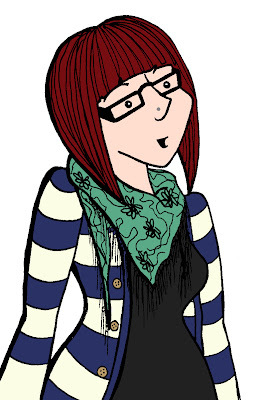 I've wanted to do one of these for ages but kept putting it off, however I think it's high time I just did it! I found this on one of my many travels around the internet, and thought 'ooh that looks like fun! ', but forgive me because I cannot for the life of me remember where I found it! 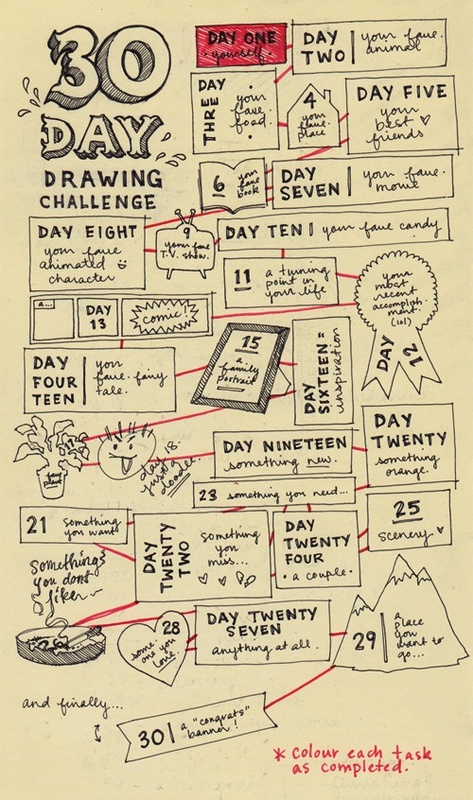 So for the next 30 days I'm going to be glued to my sketchbook, I hope I can do it! As this is my first day I had to do a drawing of myself, so here it is!